We appreciate the opportunity to provide written comment on the future of the Austin State Hospital campus (ASH). ASH is a monumental historic, architectural and cultural asset that has belonged to and served the people of Texas for over 150 years. 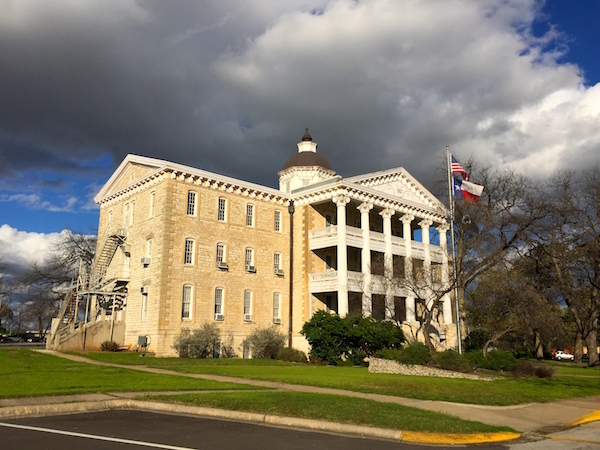 At its inception, Texans took great pride in being the first state west of the Mississippi to provide progressive mental health care for its residents. The lives of those who have received treatment at ASH have crossed racial, cultural and class boundaries across almost every period of the history of our state (including John Neely Bryan, the founder of Dallas). The story of this place where so many Texans lived and died touches on some of the most tragic and difficult histories that Texas families ever face. The value of this history and the need for its protection cannot ever be valued monetarily. Since last fall, our offices have been located at ASH. We have spent a great deal of time reflecting on the significance of ASH and its history, its architecture and its remarkably beautiful open spaces. While we are in no way qualified to recommend what sort of facilities are required for the 21st century treatment of mental health, we are in every way qualified to say, without hesitation, that ASH is of the highest importance to the history of our state. Through public and private initiatives, the campus and its historic assets should be protected, restored and interpreted in a way that honors and dignifies this history. The Administration Building, which was begun in 1857, is perhaps the second-oldest state building in Texas and is probably the largest and most important unrestored pre-Civil War building in Texas. Its importance is no less than that of other early state buildings, including the old General Land Office, the Governor’s Mansion and the State Capitol. While not as visible as these other iconic Austin structures, the possible sale of the Administration Building would be as inappropriate as the idea of selling the General Land Office, the Governor’s Mansion or the State Capitol. All of these buildings are so much more than brick or stone – they share significance as landmarks of value to all Texans that should forever be owned by the people of Texas. The Administration Building should be designated as a National Historic Landmark, befitting its importance. The building can be restored and used to interpret the history of ASH, using the valuable historic records, artifacts and photographs in the ASH collection. This interpretation includes its patients, its employees, its architecture, its landscapes, its impact on Texas and the evolution of mental health treatment. Both in Texas and elsewhere in the United States there is ample precedent for considering a long-term lease and partnership with a non-profit organization. Supplemental private funds could be raised for restoration and interpretation, ensuring continued public use of the building. Ancillary ASH buildings constructed in the early to mid-20th century, many of which are vacant and in disrepair, represent the architectural accomplishments of a range of important Texas architects (see attachment). These buildings should be preserved and can be adapted to new, compatible uses. Rehabilitation efforts supported by private investment could potentially benefit from valuable state and federal historic preservation tax credits. The historic open space at ASH, which includes significant heritage trees, should be maintained, particularly in areas adjacent to historic structures. Additionally, historic buildings and features that have been demolished or lost, such as African-American patient housing and a possible early cemetery, have left archaeological remains that merit protection. In summary, the historic assets and landscapes of ASH merit vigilant protection and careful restoration. The future use of its historic buildings and the possible redevelopment of the campus should complement its nationally-significant history. But under no circumstances should the State of Texas sell the Administration Building. It is a building that should belong to the people of Texas forever, with a story that can be told no where else but at ASH.